Save 30% on shipping for each additional eligible item you buy from motorcycleworks. 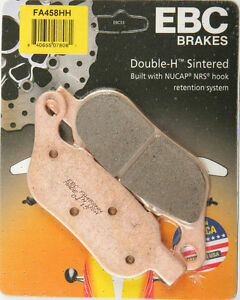 Great brakes... high quality/manufactured well.....good stopping power wet or dry....no squeal....minimal break in time....little dust....so far, worth every penny.......S.R. Great stuff. Well worth the cost. I have used EBC products for 30 or more years. I have yet to any quality issues with any of their products. I use a lot of brake pads in my shop and only EBC will do.